The Cape Region as a tax haven? Phil Mickelson knows how to grab attention. The immensely popular Masters champion finished well back from the lead in the recent PGA Tour’s Humana Challenge tournament in Palm Springs, California. Nonetheless, that didn’t stop the media from conducting an intriguing chat with the normally sunny Californian. According to the New York Times and other publications, however, Mickelson took the opportunity in his post-round interview to bring up a challenging topic that goes well beyond the sports world—taxes and their effects on deciding how hard to work and where to live. This quote somewhat glides over the important consideration of how state and local taxes impact high-earners such as Mickelson. He reportedly brought in well above $40 million in tournament winnings and endorsement income in 2012. In the November elections, Californians adopted Proposition 30, which will take a large bite out of Mickelson’s wallet. The new law raised the income tax rate on taxable income above $1,000.000 to 13.3%, a full 3 points above the previous level. The new tax also applies retroactively to all income earned in 2012. Mickelson won last year’s Pebble Beach Pro-Am, so this one look-back change in California’s tax rates will nick him for additional 3% on a prize well above a million. People may certainly discuss and debate exactly when one has earned “enough money,” as our President was quoted a while ago. I think most folks would agree, however, that changes in tax rates on “enough” money will still make people think long and hard about where and how to minimize the impact of these political choices. That’s where the Cape Region comes in. Phil Mickelson and his fellow PGA Tour players could do a lot better for themselves if they considered our little slice of heaven as an alternative to the West Coast. We have a very nice airport in Georgetown for them to reach the world’s golf courses in their private planes. We have plenty of high-end properties, in very nice spots, both along the coast and inland. We have very good schools and other family-friendly features, including our beautiful beaches and state parks. According to the Tax Foundation, Delaware also has several tax-based advantages over California, especially now. The Blue Hen State ranks 14th in the overall business climate index, compared to California’s position in the 48th spot. We’re in the middle of the pack among the states regarding personal income taxes (29th), while California languishes in 49th. We also don’t have a general sales tax, while the Golden State’s direct consumption tax rates put it in 40th spot overall. Thanks to Proposition 13, a reform measure adopted in the 1970s in a prior tax revolt, the two states are not that far apart in the property tax ratings. Cape Region real estate agents, on the other hand, are fond of noting how many out-of-state buyers thought that the quoted property tax is a monthly average, instead of the total. 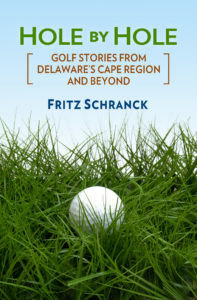 Delaware remains at a disadvantage with some other states, such as Florida, which attracts pro golfers by not imposing any income taxes, along with dozens of golf courses on which to play year-round. Nonetheless, highly accomplished sports professionals such as Mickelson could do a lot worse than deciding to pull up stakes and move to the Cape Region. California just showed them why they should at least think about it.